Our first dLab/emurgo accelerator cohort starts in just a couple short months, and we couldn’t be more excited to get to work. If you haven’t seen our Call for Startups yet, please check it out! We’d love to hear from you if you’re building a blockchain or DLT startup. But I don’t want to talk about startups today. I want to talk about fellowships. In addition to five startups, we’re also interviewing and hiring five Cardano Fellows. Individuals selected for the fellowship will be funded for a full calendar year to explore new topics in decentralization and distributed ledger technologies with applications for the Cardano blockchain. Or, said another way, we’ll provide a $60k USD stipend for you to come hang out with us and build neat stuff for a full year that will improve the Cardano ecosystem. We aren’t expecting candidates to pitch us a fully baked solution; you just have to convince us that the problems you want to investigate are worth working on, and that you’re the right kind of person to find useful solutions and produce tangible results. If the startup accelerator is about funding people who have identified solutions, our fellowships are about funding people who have identified problems. In most cases, we expect that selected fellows will be developers, but we’re also happy to fund researchers or others who may be learning to develop as part of their journey. We expect some fellows to work on open source, while others may be creating educational resources, products or infrastructure. Some projects we fund may have startup aspirations, with obvious routes to commercialization, in which case accelerated acceptance into a future accelerator cohort is an option. Others may achieve sustainability through a non-commercial route, for example, by building an active open source community around a critical new software library. Others might be pursuing pure research, where the outcome is publishing and advocacy. We’re open to all of these options — because the blockchain ecosystem is still at an early stage — and many different types of thinking are needed to push us forward. Throughout the residency period, the selected fellows will work with SOSV and EMURGO leadership, publish regular updates on their progress, participate in events, and receive access to development resources, mentors and program partners. We’ll work with fellows early on in the process to establish goals, and make sure they’re getting the help and support they need to be successful. In addition to the core topic that the fellowship is exploring, fellows will also be expected to explore areas of overlap and work with resident accelerator companies. The following is a list of topics we’re actively thinking about that are certainly appropriate for fellowships. If you’re interested in working in one of these areas, we’d love to talk with you. But we’re also interested in hearing about different areas we haven’t included here if you feel that they’re relevant to dLab and Cardano. We need to work together to onboard the next generation of developers who understand blockchain technology, and how to write and test smart contracts using Solidity, Cardano’s new Plutus language, and existing languages like Python, Java, and Rust. That means creating content and scalable educational resources. We’re looking forward to working with fellowship applicants who are passionate about educating others, particularly those who are interested in unconventional or experiential approaches. Developing and deploying serverless code to a blockchain still feels very foreign to most developers. We’d like to simplify that experience in order to accelerate network growth and create more decentralized apps. This means that we’re looking for eager developers who are interested in tooling, OSS libraries, adapters, and frameworks (have you messed around with those new React Native bindings yet btw?). With the release of the IELE language and its VM, now deployed on the second Cardano testnet, it’s a great time to consider the tooling that needs to be developed around these innovations to get more developers in the front door and building useful things. As usual, some inspiration can be found from tools that already exist. Embark, for example, is a framework for developing and deploying decentralized applications on the EVM, encapsulating common development, testing, and deployment operations and easing developer workflows. Another example is Ganache, part of the Truffle suite, which provides developers with a local blockchain that can be used for development and testing, without having to sync or deploy code to a live testnet; it’s both a great learning tool and a crucial piece of a decentralized development kit. Smart contract security testing is another area that needs more tooling focus. Integrated Development Environments (IDEs) play a big role in tying this all together and providing streamlined tooling for developers; Remix, for example, is an IDE originally funded by the Ethereum Foundation that’s been forked to support the IELE VM. It’s a great starting place but we’d like to take this to the next level and talk about what the next logical evolution of these tools will be. The flip side of the developer tools coin are production services that make it easy to deploy and support certain classes of applicants. A good example is Emurgo’s recently-launched Yoroi web wallet, which leverages a hosted full node API infrastructure in order to provide lightweight access to clients. There’s a clear need for hosted enterprise services like this that enable other applications and we believe that there’s a real opportunity to create a product, or a self-sustaining public service to fill that gap. Best yet, we’ve already got a head start on this one and a first customer ;-). Interested? There are similar needs in areas like interoperability and security. And, as far as Yoroi is concerned, there are also opportunities to build services and integrations on top of the wallet, transforming it into an application platform. If you have specific ideas here, we’d love to discuss them. As we wrote about in our Call for Startups article, one of the biggest obstacles to widespread adoption of any blockchain is the end user experience. We’re looking to fund fellows who have radical new ideas for humanizing the way we interface with wallets, smart contracts, and decentralized applications. For example, if we’re going to scale demand beyond early adopters and special purpose financial instruments, we need to rethink the way that users interface with these services. The average user paying for a service in ADA or transacting with a dApp probably shouldn’t need to know anything about cryptographic hashes or QR codes. As such, one area we’re particularly interested in is exploring alternate ways to identify (e.g. naming) and discover individuals, contracts, and apps. Not that we hate QR codes or anything. But there’s certainly some room for improvement here. “If your project is solving for transparency, fraud and reducing the costs of moving money or identity, blockchain has a lot of potential to help,” wrote Doug Galen of Stanford’s Graduate School of Business, in an article written for FastCompany earlier this year about blockchain and social impact. Cardano and other blockchains have obvious potential to address many societal issues that plague us. Many of those problems are exacerbated in the developing world, where we expect many of the most important developments to have the greatest impact, likely leapfrogging adoption in the rest of the world. With one of EMURGO’s stated goals being to create a more connected and equitable world using the Cardano blockchain, it’s no surprise that creative ways to achieve financial inclusion is at the top of our list of interest areas for fellowships. In addition to making financial products more inclusive, blockchains have the potential to grant digital identities and personal data management to millions of individuals with no formal economic identity, such as refugees. Other areas where we’d like to see fellows investigating include agricultural data exchanges (empowering rural agricultural producers), systems for recording and enforcing land use rights, decentralized energy markets, and preserving freedom of the press. Government use cases are frequently discussed; in addition to direct democratic process (admittedly not a near-term objective), the immutable and transparent nature of blockchains lends itself well to recording and auditing government activity, and can be used for compliance, verification, and distribution of benefits. Frameworks for inter-jurisdiction identification and compliance in smart contracts are a particularly interesting area for us. Can blockchain applications curb government corruption? Put an end to human trafficking? Prevent hyper-inflation? We’re anxious to find out and we’d like to talk to people who are working on practical near-term solutions to society-scale problems, who also understand that solutions here are more than technical; they’ll require careful coordination with the right progressive policymakers. I hope this post has given you a better idea of what we’re trying to accomplish with the Cardano fellowship program. 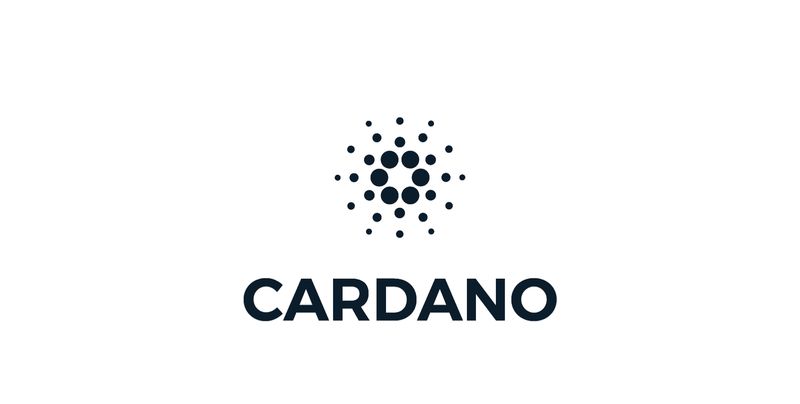 Our goal is to provide an alternative type of funding to interesting people who want to come experiment with us for a year, build interesting new things, and accelerate adoption for the Cardano ecosystem. If you’re a hacker, researcher, or an ambitious learner who is passionate about the potential of decentralization, we’re accepting applications for our first five fellowships now. Apply by November 30th to be part of the first wave.